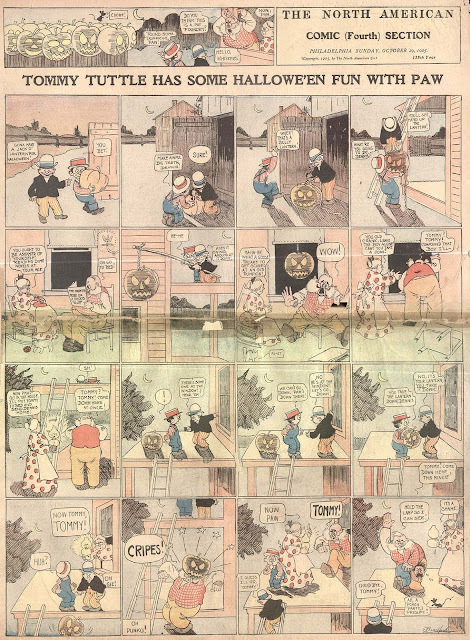 December 17 1907 -- A promo strip for the Examiner's classified section. Get your best gal a free premium ring for placing a classified ad -- she'll love you for it! 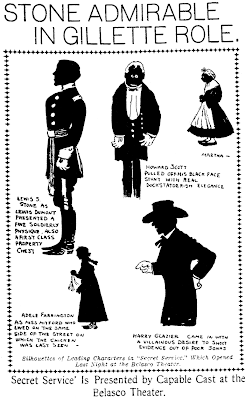 December 18 1907 -- Herriman contributes an unusual-for-him silhouette cartoon for a review of the play "Secret Service". 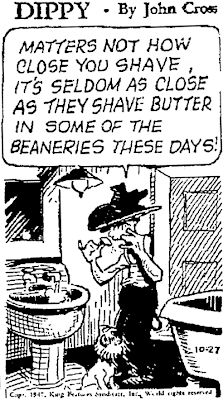 Even Herriman's minor work is a treat to see! That thin little ring promotion is charming. It also serves as a reminder of how wide newspapers were in the old days. 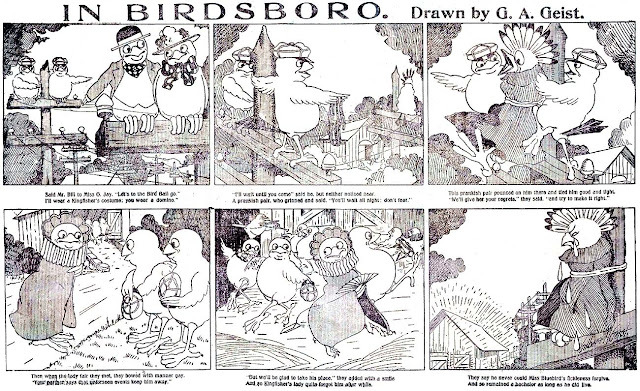 After Jimmy Swinnerton was summoned to New York to work at Hearst's flagship papers, for the first few years he did quite a few weekday features, and pretty much stuck to his animal characters on Sundays. Tumble Tom was one of his first Sunday series in New York to feature humans. The klutzy pratfalls of Tumble Tom weren't all that original or inspired, so it's not much of a surprise that the series didn't go on for very long. It started on April 20 and ended October 19 1902. Thanks to Steven Stwalley for the scan! You say New York, but this is a Chicago newspaper. 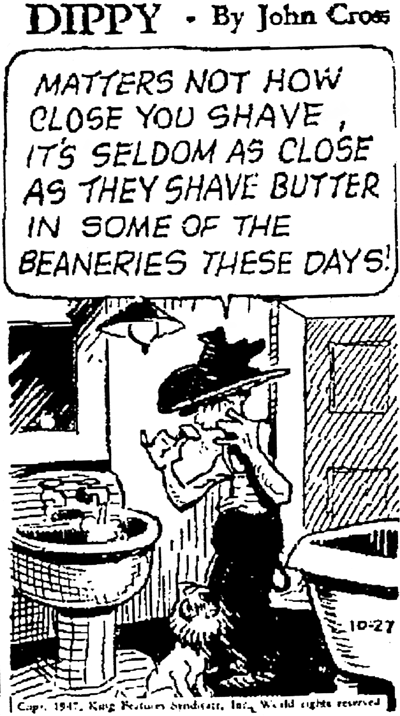 You mean when Mr. Swinnerton came to New York,would all of the Hearst newspapers have his strips? Yes, the Hearst chain shared a common Sunday color section. Apparently no matter how small and pathetic the niche someone carves out for themselves, there's always someone willing to try to duplicate even the barest modicum of success. With In Birdsboro, a fellow named Gilbert A.Geist chose to ride the dubiously worthy coat-tails of Horace 'Harry' Martin. 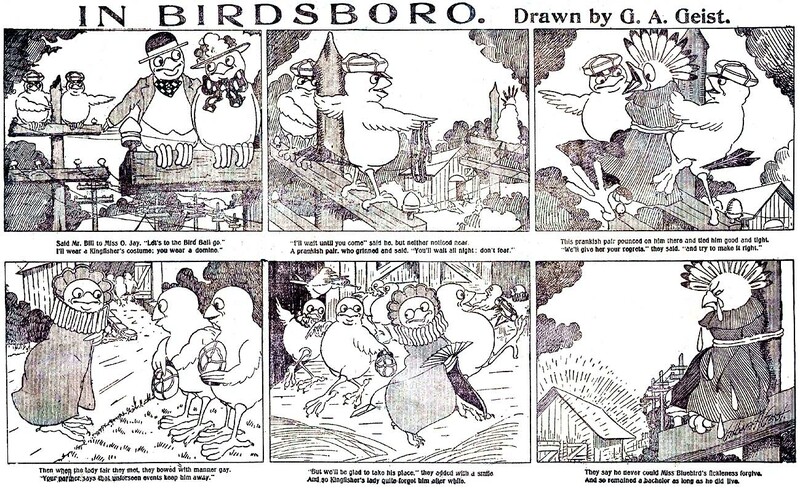 Martin created the Weatherbird for the St. Louis Post-Dispatch in 1901. Harry apparently only had one good idea in his head, but he was determined to beat it to death. He moved to New York City and hawked his bird strips for years to a city full of generally indifferent editors and newspaper readers. We've met him before here at Stripper's Guide with posts about a few of his bird strips, Inbad the Tailor and It Happened in Birdland. Geist, who has no other credits of which I'm aware, apparently never heard the old saw that if you're going to steal then only steal from the best. 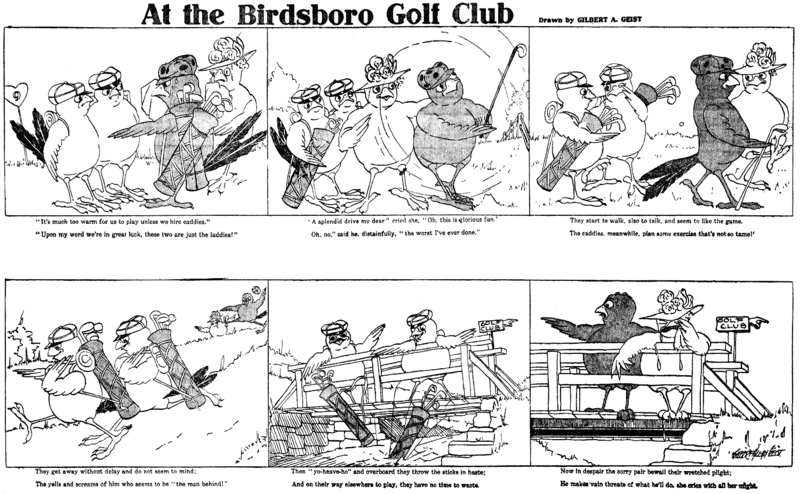 He copied Harry's bird characters pretty much verbatim for this series, which ran in the Philadelphia Press Sunday section from September 30 to December 23 1906 (one final left-over Sunday strip was run on Thursday, January 31 1907 to plug a hole). Gilbert Allen Geist was the third child of George and Ella as recorded in the 1880 U.S. Federal Census; the Geists resided in Doylestown, Pennsylvania. He was born on January 29, 1879 according to his World War I draft card. After his work at various Philadelphia newspapers he moved to College Station, Texas. The Fort Worth Star-Telegram published an article on August 29, 1909, page 17, on college faculty changes. drawing at the Y. M. C. A. in Philadelphia. Geist married Emily Kurtz Dulaney on June 24, 1920 in Seaford, Delaware. According to their marriage certificate he was living in Philadelphia and she in Seaford. Emily was 13 years his junior. In the 1930 Census the couple was living in Bryan, Texas. He was still teaching at A. & M. College. Geist died on September 12, 1937. He was buried at Fairview Cemetery in Macungie, Pennsylvania according to information at Roots Web. Bravo again to Alex!These biographical sketches on the more obscure strip artists are a most welcome aspect of the Stripper's Guide blog. IN BIRDSBORO is a kind of demented feature. In every episode, the two nameless punk birds commit petty acts of cruelty, sometimes with little apparent point. They always get away with it, and in a cheerful rhyme to boot!----Cole Johnson. Mixed Singles, a somewhat groundbreaking daily and Sunday strip, debuted on November 13 1972. In the early 70s the country was loosening up, admitting that unmarried people weren't all living a monastic life, getting paired up at church socials and marrying as virgins. 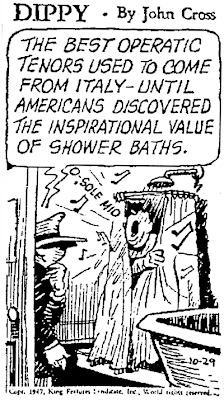 As goes the country, so go the comics, so United Features contracted with creators Mel Casson and William F. Brown for their new strip about the residents of a swinging singles apartment building Given the extremely prudish strictures of the comics page, Casson and Brown got away with a surprising amount of semi-adult humor about the single life. Casson was already a veteran of the comics page, having written the excellent strip It's Me, Dilly and created the daily panel Angel. Brown, although also a cartoonist, was more involved with performing arts, having written the play The Girl in the Freudian Slip and worked on quite a few TV programs including The Jackie Gleason Show. During the run of Mixed Singles, Brown would make an even bigger splash as the librettist for the hit musical The Wiz. Brown and Casson claimed to share writing responsibilities about equally on the strip, and the art chores were generally split with Brown handling pencils and Casson inks. In January 1973 a new character, Boomer, was added to the already large cast of regulars at the apartment house. The cowboy-hat wearing chauvinist jock had a lot of repellent qualities, but for some reason Brown and Casson fixated on him. He eventually became the star of the strip, and when he wed in March 1975 the title of the strip was changed to Boomer. The gradual shift in focus from singles to young marrieds was presumably a marketing decision. Although Mixed Singles had found a home in some big city papers on the liberal-leaning coasts, the strip didn't really have much of a foothold in conservative middle America. The change did actually seem to have a positive short-term effect in terms of the number of papers that carried the feature, but sales soon dropped off again. The strip limped on with a slowly but surely dwindling roster of papers until August 1 1981. Note: according to Ron Goulart the Sunday was dropped earlier than the daily, on 4/29/79, but Don Mangus has reported to me that he has a Sunday dated 7/20/80, and the strip was advertised in E&P as a daily only in 1979-80. Can anyone clear up this discrepancy? Here's another series from one of my favorite creators, Walter "Brad" Bradford. This one is disappointingly conventional, not at all the norm for the wacky Brad. But it is a Hallowe'en strip, apropos for this week! Tommy Tuttle is one of those 'bad boy' strips, and it began under the title What That Smith Boy Brings Home on May 21 1905. 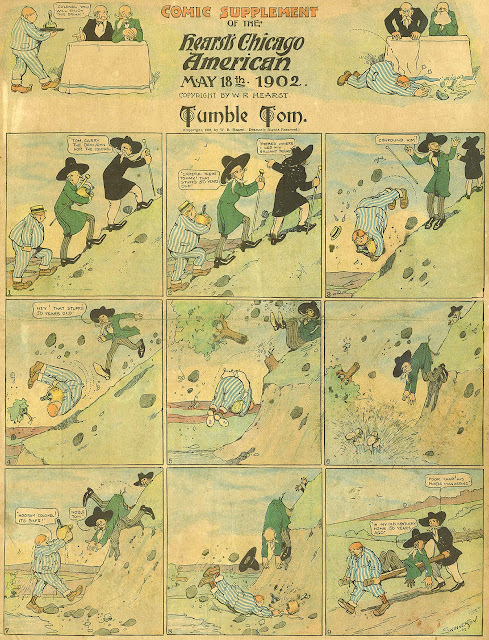 For reasons unknown Brad changed the kid's name to Tommy Tuttle after a short while and the series continued under the new name until November 26 1905. 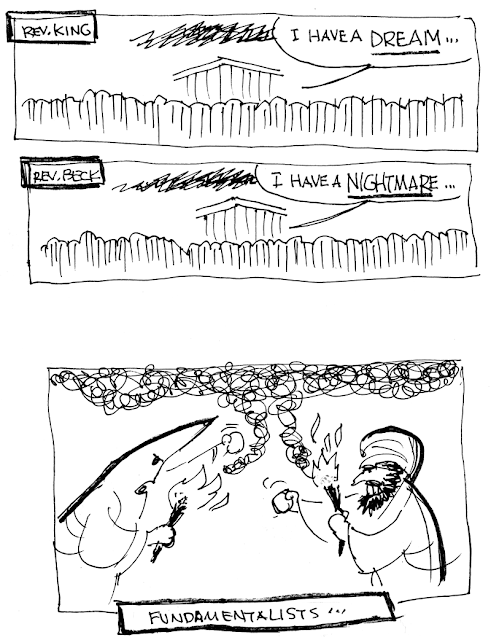 John Cross was primarily an editorial cartoonist, but he did try his hand at humor features every once in a while. Based on my meager files, Cross was active as a cartoonist at least from the 20s-40s, and jumped around a bit. 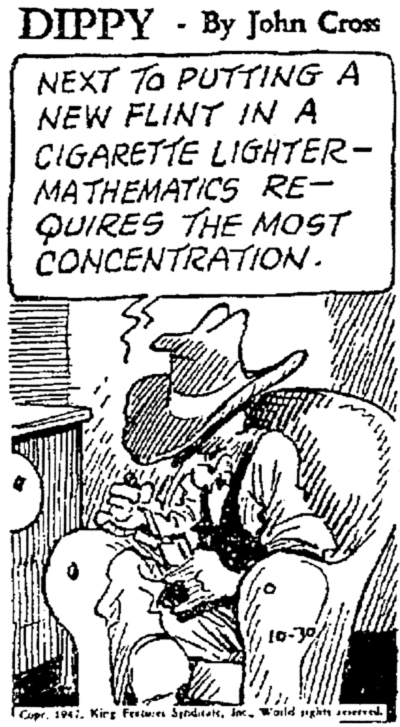 I've got samples of his cartoons from the Nashville Tennessean, Nashville Banner and the Knoxville Journal. 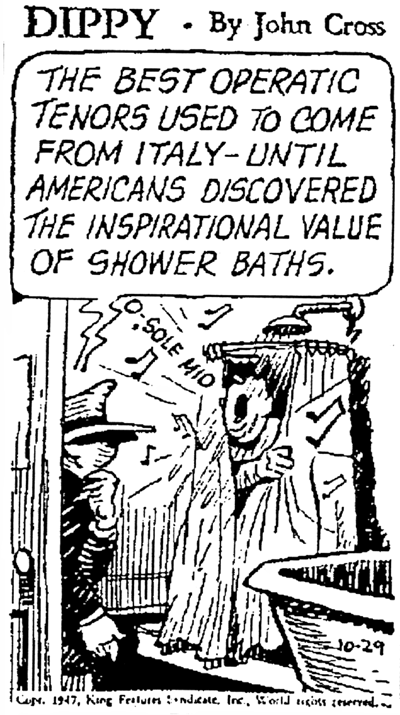 Cross did a few local humor features, but this little one-column panel cartoon, Dippy, was his only syndicated effort. 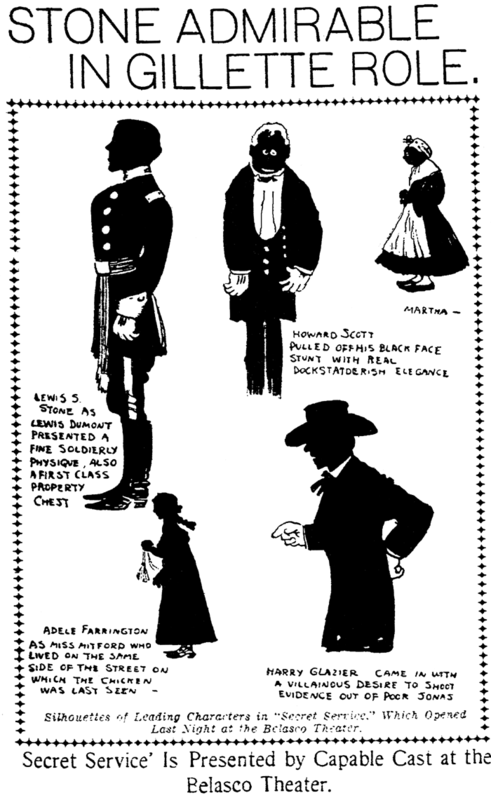 The King Features distributed feature was another in a long line of attempts to duplicate the success of Frank Hubbard's Abe Martin cartoons. This one certainly didn't take off at all despite some pretty good smirk-inducing homilies in the samples I've seen. The dates I have for the daily feature are October 13 1947 to June 5 1948. I've not had an opportunity to check what I presume to be Cross' home paper at the time, the Tennessean, but they would probably offer the best chance at seeing the complete run. John Russell Cross was born in Davidson County, Tennessee in 1901, according to his World War II Army Enlistment Record. He was the first of three children as recorded in the 1910 U.S. Federal Census. Cross's father, John, died some time after his birth. In 1909 his mother, Adele, married Dr. Roland Macon; the family resided in Clarksville, Tennessee. In the 1920 census, Cross and his family remained in Clarksville, living at 314 North Second Street. Curiously, there was another "John Cross" in Clarksville, who resided at 320 Main Street, about three blocks from John Russell Cross. "John Cross" was boarding with Dr. John and Augustine Sladyen, who were the parents of Adele. Apparently, Cross was actually living with his maternal grandparents and was counted twice in the census. Cross enrolled at the Chicago Art Institute in the fall of 1921. Artist Everett Gee Jackson wrote about his encounter with Cross in the book, "Goat Tails and Doodlebugs: A Journey Toward Art." here to learn to be a newspaper cartoonist." hoping to learn how to draw and paint. painter, you will starve to death." to try to stay there at least one month. invariably say, "How can you stand to live in this noisy place?" one of which was life drawing…. who was as delighted with our new roommate as I was. our State Street address was that Pauline's father had insisted upon it. Cross married in 1926; his wife's name was Helen. The 1930 Census recorded his occupation as cartoonist at the "Tennessean." The couple lived with an aunt, Jennie Lee Waldkirch, and two roomers in Nashville. In 1939 the book, "Tennessee: A Guide to the State", was published. It was produced by Federal Writers' Project of the Work Projects Administration. Cartoonists were highlighted on page 171. The 1941 and 1942 editions of "Polk's Nashville City Directory" listed "Cross John R 613 1/2 Church R417" under the "Advertising Agencies" heading. Cross enlisted in the army on June 20, 1942 at Fort Oglethorpe, Georgia. His marital status was "separated, without dependents." He stood five feet, ten inches and weighed 188 pounds. When and where he died is not yet known. Perhaps there is an obituary in the Tennessean newspaper. Cross's cartoon strip "Dippy" also appeared in Kingsport News, and Winnipeg Free Press. You;re always dependable for great info, Alex!----Cole Johnson.